San Pedro is ideally located to serve as your “home base” when visiting Southern California. 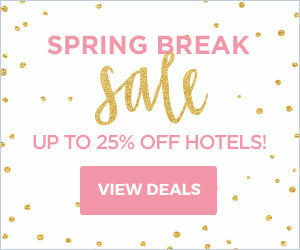 In addition to the many attractions that are part of San Pedro, Disneyland, Knotts Berry Farm, the Movieland Wax Museum, The Queen Mary, Venice, Malibu, Beverly Hills, Hollywood, Universal Studios, the Los Angeles Convention Center, the Olympic Coliseum, the Rose Bowl, the Forum, Dodger Stadium and all of Los Angeles are located within a 30 mile radius. San Pedro is located at the end of the Harbor Freeway (110) and affords immediate access to the entire Southern California Freeway System. San Pedro is home to the Port of Los Angeles World Cruise Center with cruise ships departing for ports around the world. San Pedro has very reasonably priced hotels and motels. 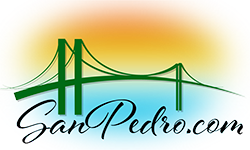 Below are links showing the prices of the local hotels and motels and their distances to the World Cruise Center and Downtown San Pedro. San Diego Freeway (405) south to the Harbor Freeway. (110), then south on the Harbor Freeway to San Pedro. California 1 south to Santa Monica Freeway (10), Santa Monica Freeway (10) east to the San Diego Freeway(405), south on the San Diego Freeway (405) to the Harbor Freeway( 110) then south on the Harbor Freeway to San Pedro. Hollywood Freeway (101) south to the Harbor Freeway. (110), then south on the Harbor Freeway to San Pedro. South on the Pasadena – Harbor Freeway (110) to San Pedro. San Bernardino Freeway (10) or Pomona Freeway (60) west to the Harbor Freeway. (110), then south on the Harbor Freeway to San Pedro. Artesia – Riverside Freeway (91) west to the Harbor Freeway (110), then south on the Harbor Freeway to San Pedro. San Diego Freeway (405) north to the Harbor Freeway (110), then south on the Harbor Freeway to San Pedro. Metro’s Silver Line now provides express service for faster travel between San Pedro, Downtown LA and El Monte. Los Angeles County Metropolitan Transportation Authority. Shows how to take bus or rail transport between any two points in Southern California. Excellent Resource!